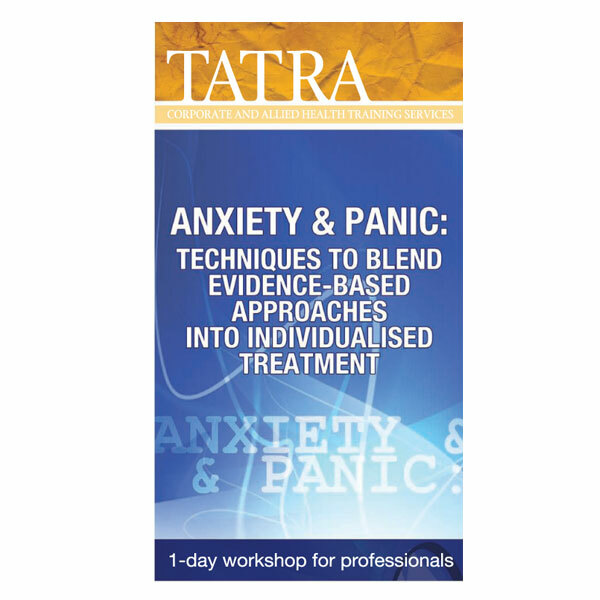 This workshop will show you how to empower clients who suffers from anxiety disorders to see themselves as resilient, capable people who have been fooled by anxiety, rather than defective people who need to be protected. Join Dr. Carbonell for this powerful program, and discover how to motivate your clients to seek out, rather than avoid, the corrective experiences they need for recovery from an anxiety disorder. Dr. Carbonell views chronic anxiety disorders as functioning like a Trick, and this formulation guides his treatment approach. People who struggle with chronic anxiety have been “tricked”, by their physiology and their “common sense”, into struggling against anxiety in ways that complicate and degrade their lives, much like the proverbial “putting out fires with gasoline”. His method is to help people walk a different path, one that fosters recovery by disengaging from the constant “anti-anxiety” struggle which now maintains their present difficulties. Clinicians rave about Dr. Carbonell’s guiding formulation of the Anxiety Trick, the simple, humorous language with which he describes it, and the way he helps you translate it into practical, powerful interventions. Come join him for a day and go home ready to use innovative new strategies for helping anxious clients, bypassing many of the usual obstacles to progress as you guide your clients to recovery.